During the mining booms in the Pike's Peak region, not only did men take advantage of business speculation, but also women took similar advantages. Among these women was Lucy A. Maggard. Mrs. Maggard arrived in Colorado City and opened up Mother Maggards Boarding House. 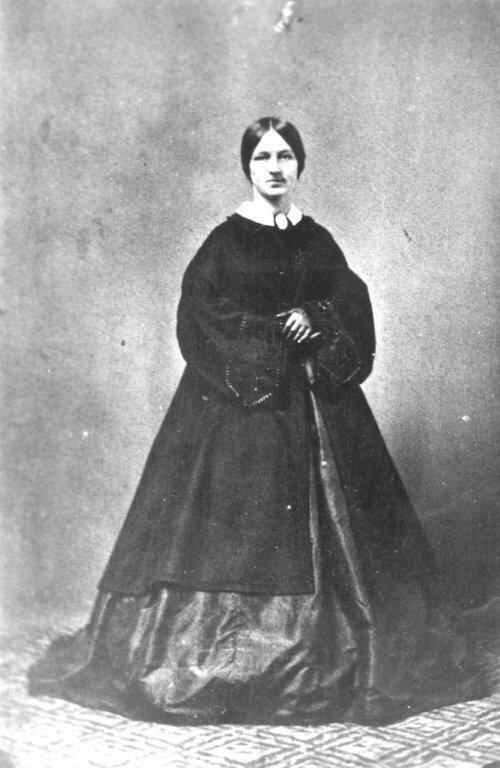 By November 1861, Mrs. Maggard was leasing and operating the Central Hotel. Once again our Society’s Web Site has collected original history about one of the very earliest pioneers of Colorado City. Sharon Knapp, from tiny Superior, Montana, recently found our web site by slow dial-up modem. She is the great, great, great, granddaughter of legendary Lucy Maggard about whom we had very little information. Sharon has given us – via email with photographs - a fascinating account about the long life during turbulent times this Pioneer business woman lived through, as well as glimpses of the lives of her equally interesting daughters. We only knew that when Lucy came to Colorado City by 1861 she was the proprietress of the very small ‘Central Hotel’ - such as it was. When the newly elected Colorado Territorial Legislature convened in Colorado City on July 7th, 1862 her ‘hotel’ was actually only a two story log building built by her son-in-law, William Green Price. It was so small that the lawmakers had to sleep on the floor upstairs and meet in her kitchen. Lucy was such a self-assured practical woman - unimpressed by the self-important male lawmakers – that she cleared them all out of her kitchen for meals. And she pressed the men to get wood for her fire, and water from Camp Creek before she would feed them even though they included such important men as George Crocker who hiked down from California Gulch, and decided to camp outside, before being elected Speaker of the House. The first lawmakers of Colorado Territory were so disillusioned by the accommodations that Colorado City had for their new government – and perhaps intimidated by no-nonsense Lucy - after only four days they voted to adjourn. On July 11th, 1862 they hightailed it back to Denver – where they remain to this day. The competing ‘El Paso House’ – on the site today occupied by the Amarillo Motel, on the south-west corner of 28th and West Colorado - would have offered much better accommodations. But as luck would have it, it was not finished until 4 days after the lawmakers left town. So Lucy Maggard gets the blame – or praise, depending on your point of view – for ending Colorado City’s bid to be the Territorial, then later the State, Capitol. To the then town of Denver went that dubious honor. Always the entrepreneur, Lucy abandoned her ‘Central Hotel’ and began, just days after the Legislature left, to operate the successful El Paso House just a block away! These few things we knew. But what we did not know until now, was the story of where Lucy Maggard came from. 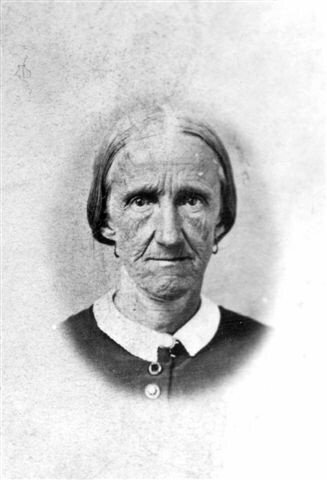 She was born Lucy Ann Davis in New York State in 1814. Or that her husband, David Maggard, father of Lucy’s four children, died in 1850 in St Joseph Missouri. Or why, and where she went after she left Colorado City in 1864. We know now that she came across the dangerous plains from Kansas in 1859 with two of her three daughters and her son. One was Amanda - with her husband William Green Price. The other, unmarried Fidelia, as well as Lucy’s son, Jack. They first stopped in Auraria, now Denver. With the savy she had accumulated earlier – perhaps from already having run a 20 bed Boarding House in Missouri in 1850 - she immediately acquired a one story building, added stories to it, and ran it as “The Tremont” hotel for at least a year before selling it and moving in 1861 to the more ‘promising Colorado City’ Her third daughter, Catherine with her husband travelled separately, and went on up to Gregory Gulch and Central City where the big gold action was. Gold rush fever had infected them all. Lucy had good reason to leave the Kansas-Missouri border region. Kansas, a border state was wracked with southern versus northern vigilantism and cross-border violence from the slave state of Missouri. When she was away for just three days near Lawrence, Kansas having left behind evidence in her home that she was a staunch abolitionist, it was burned to the ground. Like many others Lucy Maggard went further westward to get away from the eastern conflicts and looming Civil War. Everyone seemed to be moving in, then out, from Auroria to seek their fortunes elsewhere – some into the mountains seeking gold, others, like Lucy, looked for places of growing opportunity. She chose Colorado City which had just won, on November 5th, 1861 the honor of being named the location for the Territorial Capitol. So Lucy Maggard, pregnant daughter Amanda with her husband William Price, 20 year old daughter Fidelia, and younger son Jack, headed for Colorado City, 80 miles south. One thing we knew from several sources – Lucy Maggard put good food on the table wherever she ran a hotel. And she ran several of them – which repeatedly became her main source of income. She was a business woman from beginning to the end of her wanderlust life. We have now learned from Sharon much more news about the Maggard family while they were in Colorado City. First of all Fidelia married a Colorado City homesteading – on today’s Garden of the Gods land – widower. William Garvin – (no relation to Dr. James Garvin who built the cabin that still stands in Bancroft Park). Theirs was the first recorded marriage, New Years Eve - December 31st, 1861 in Colorado City. Amanda with her 5 small children later moved a few miles north of Colorado City and settled on the ‘Divide’ between Denver City and Colorado City – today’s Palmer Divide - from where her husband William engaged in freighting supplies along the front range. The Ute Indians in isolated El Paso County locations like that always pestered Amanda – with implied threats - to feed them when she was alone with her very small children. She did, even cooking for them once. The nervous couple then moved onto Scott Kelley’s ranch 6 miles south of Colorado City, but again, encountered Indians so frequently, they moved back into Colorado City. Lucy whom all descendent branches of the family agreed was a very resourceful pioneer woman, got wanderlust again. She sold out her interests in Colorado City in 1864 and while exactly, how and by what route, she travelled the next thousand miles is not known, she next appeared, in the new gold rush town of Virginia City, Montana. She had been married by then to a man named Coberly. Virginia City boomed and busted, so in 1866 she showed up on Flint Creek Montana. Coberly, sickened and died before 1870. Lucy had buried two husbands, but she still pioneered on. Her unmarried son Jack, was still with her on Flint Creek. They lived the first winter in a small cabin he built, and in the spring put up a large log house so Lucy could make a living serving meals to travelers on the Old Mullin Road from Deer Lodge to Beartown. Lucy, was always the business woman. But there they had an encounter with drunken Indians who harassed them. After Jack killed one, probably a Crow, he had to get far away, or risk being killed by the tribe. He left Montana for good. He ended up in Salt Lake City, but died of pneumonia at Fort Douglas, Utah at 28. All the men in her immediate family died before her. Finally Lucy Ann Davis-Maggard-Coberly herself, died in her daughter Fidelia’s home in Deer Lodge, Montana, Tuesday, October 4th, 1892 where she was buried. She was 77 years and 9 months old, having Pioneered and survived during the 1800’s when the West, for all its dangers and troubles, opened up for all the Americans who followed. We thank Sharon Knapp, descended from Lucy through her great grandmother Fidelia, for bringing yet new history to old Colorado City.